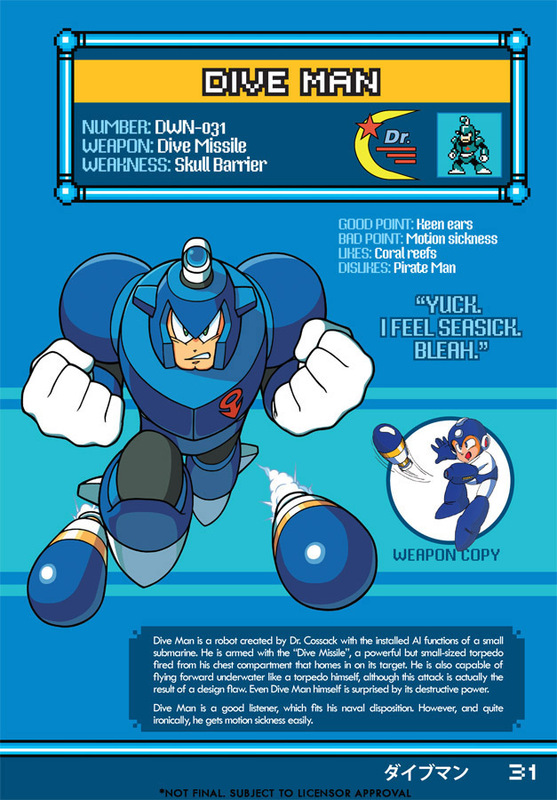 Hot on the heels of the Amazon leak, Udon Entertainment has officially announced the Mega Man: Robot Master Field Guide for March 2011. Spanning across 144 pages, the book contains profiles of various classic series characters, friends and foes. Official press release and some sample imagery below! "Toronto, ON – Nov 11, 2010 – MEGA MAN is beloved the world over as one of the most recognizable icons of gaming. However, it’s not just the blue bomber himself that fans love, but also the seemingly endless stream of evil robot bosses who try to stop Mega Man from foiling Dr. Wily’s nefarious schemes. Some may be mind-controlled pawns, while others are bad to the core, but they are all Robot Masters! 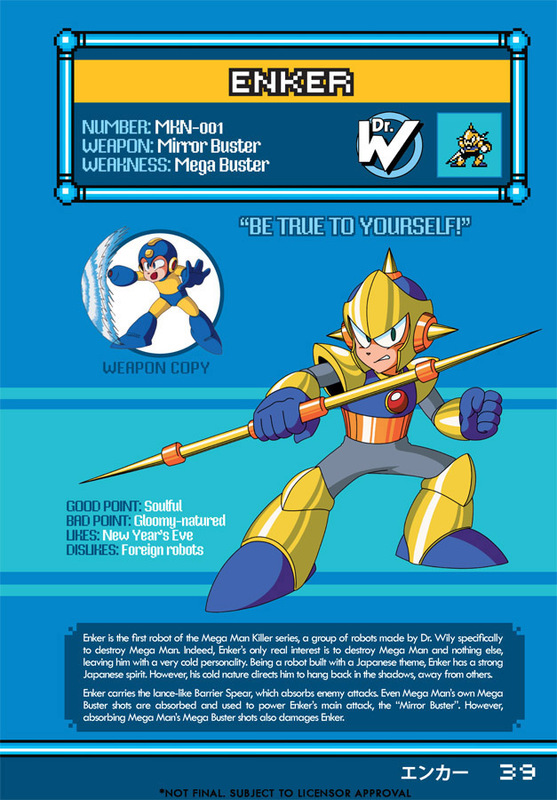 MEGA MAN: ROBOT MASTER FIELD GUIDE arrives in stores March 2011." Thanks to Udon's own Matt Moylan for the heads up! Pre-order your copy at Amazon. PLEASE make a Mega Man X Maverick one. I will buy that in a heartbeat. Two, in fact. I think Enker's data could use a slight update, since he's weak against more than just the Mega Buster now. The Ballade Cracker has become his primary weakness. Also, it's kind of weird how Splash Woman doesn't like large audiences, even though she was trying to get into showbusiness. Looks like it's Mega Man Network's wiki, in book format. Not much incentive to buy it then except for perhaps the high-res art. I do wonder where they pulled the quotes from for characters who didn't have any though. Just made them up probably. I love it, personally. Sounds like a great idea if they pull it off right. 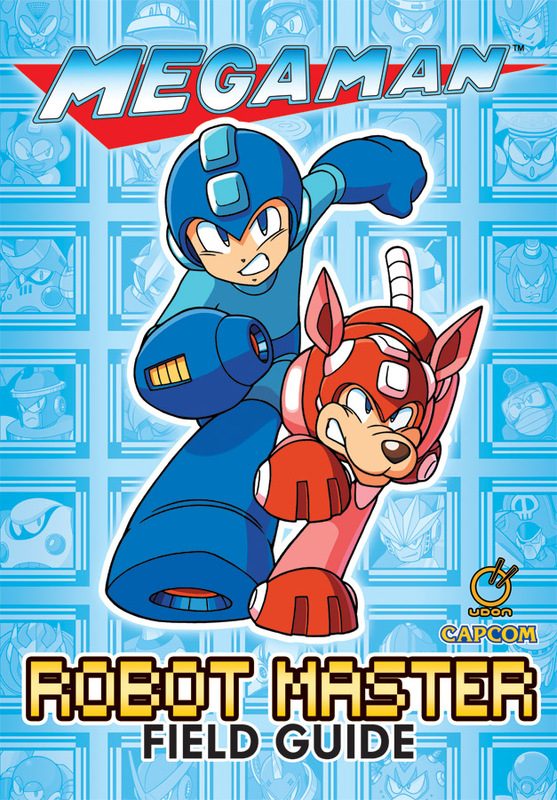 I would be amazed if they included the PC Robot Masters and the Rockman and Forte 2 Robot Masters. Meh. In the moment it looks like just a copy and paste of the MM&B database with the addition of MM9 and 10 characters, and probably others like Cossack and Reggae. But as it says it may change, the final version may be interesting. Capcom of America should check the contents instead of just copying it from other sources, or else there may be mistakes like Light being a douchie, Ballade stupid, among others... like when Capcom announced the MM10 fan-game (now called Mega Man Unlimited) instead of the original MM10! I'll do my best to bring you all a polished book you all are proud to own! Why is this an exact copy of MMN's wiki? I'm sad that there's people that think owning this information in book format is useless because one can find this info online. It kind of makes me hate the digital age, to an extent. Now they even have these e-books or whatever? I'm sorry, but for me, nothing can replace a good book made with paper and ink. Also, as Jeff said... 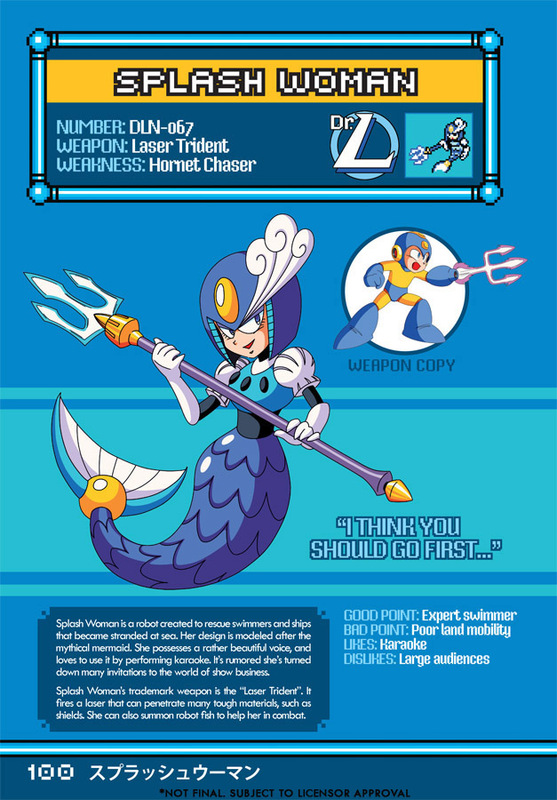 I'd love a Mega Man X Maverick Field Guide, in addition to this book, as well. Please be quiet and respect for their opinions. Every time I see you post something people question you have complained to them ? It's annoying how you post complaints about their opinions. JUST GROW UP! @Clown Prince of Crime: True true. While the digital era is here to stay, sometimes nothing compares to a real book. As for a MMX Maverick guide, that'd be the logical follow-up if the Robot Master guide does well. Second anon: Ballade is stupid, there is no mistake even th japanese cd data card says that. @Yeahamn: Single-minded, or even shallow would have been better adjectives. @Zan: Probably because that's easier than coming up with their own material. Hooray for selling other people's public domain hard work. @Zan: No worries, the Mega Man Wiki staff are friends of UDON, and helping out with this project. Bass is not stupid in any sense anon he is badass. T_T Ugly Dr. L logo is ugly. And official. Why? @Matt: It very much hurts the validity of this book to simply use things from the wiki. Now, I know that Heat Man originally wrote those profiles based on the Japanese sourcebooks, but since it is still a wiki that's free to edit by anyone, do we have any guarantee from MMN and Udon that these profiles are indeed correct and unedited, straight from the original source? @Zan: No worries. Capcom US and Japan also have to approve of the final content. Matt i just hope you stick to official content i dont want anyone personal opinion in the book. I think it is a perfect guide for Classic MegaMan vets who are tired of being beaten by the Robot Masters of the evil Dr. Wily. Kinda like a game guide or game guide from Gamefaqs.